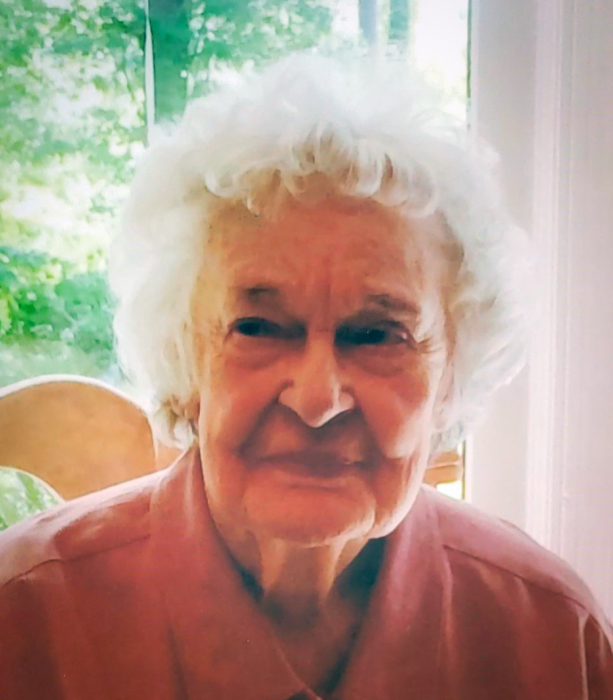 Gwendolyn Valley Bailey, 99, of Jacks Creek, passed away Tuesday, February 12, 2019, at Pine Pointe Hospice in Macon, GA. A native of Virginia she was a daughter of the late Benjamin and Ida Valley. She was also preceded in death by her husband, Bruce Bailey, in 2010; and several brothers and sisters. She was a member of Jacks Creek Baptist Church. Surviving are her daughter: Genene Muse of Macon, GA; 2 grandchildren: Ed Muse (Molly) of Macon and Melany Grant (Dean) of Roswell, GA; and, 4 great grandchildren: Harrison Grant (Kellie), Bailey Hensley (Dave), and Beck and Matt Muse. Several nieces and nephews also survive. Funeral services will be held at 11AM Saturday, February 16, 2019, in the Chapel of Holcombe Brothers Funeral home. Rev. Pete Peterson will officiate. Burial will be in Jacks Creek Baptist Church Cemetery.